Preserve memorable moments and important files, or share them with business associates, friends, and family. High-speed recording allows discs to be burned quickly and efficiently. Large capacity is ideal for personal videos, multimedia presentations, archival backups, digital image storage, and more. Enjoy secure, unalterable data storage with write-once format. Superior archival life ensures performance for years to come. Read compatible with DVD playback devices for easy sharing. 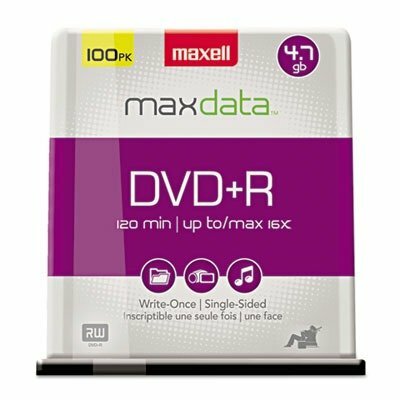 Disk Type: DVDR Capacity Video: 120 min Recordable Format: Write Once formatmay not be altered once data is written to the disc. Capacity Range Data: 4.7 GB. Recordable_Format - Write Once formatmay not be altered once data is written to the disc.